Which comes first: positive words or positive behavior? 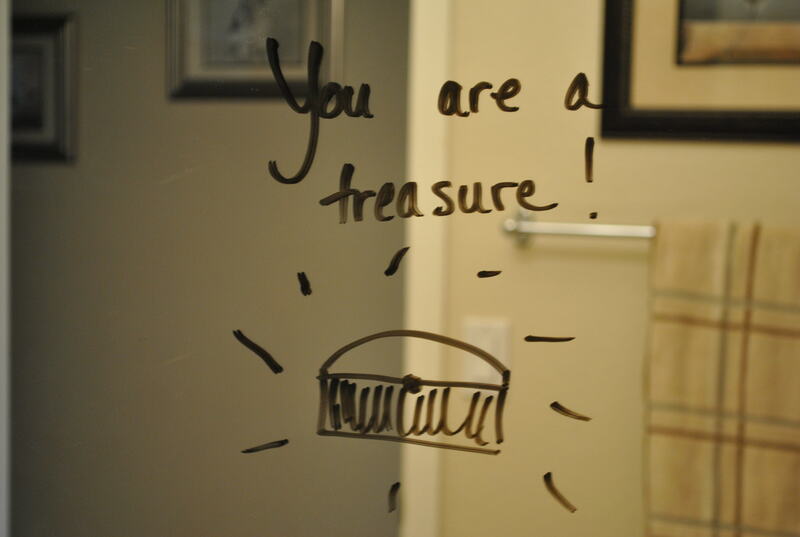 What I wrote on my kids’ bathroom mirror. I was never much of a dog person until we got our dog Bailey. (Now, I have to admit, I’m a tad ridiculous.) She’s a tiny little Shih Tzu and she’s the sweetest dog I’ve ever known. I probably tell her she’s a good dog at least ten times a day. And you know what? She really is. I was thinking about this the other day as I was scratching her head, telling her how good she was, and I started to wonder… is she good because we love her so much and show her affection and praise all the time? Or is she just naturally good? And then I thought about my kids. How many times a day do I affirm them – loving them out loud and praising their character and qualities? how many times a day do I correct them, pointing out what they are doing wrong or what they need to work on? Posted in encouragement, faith, parenting, tips | Comments Off on Which comes first: positive words or positive behavior?